Join the celebration of African American History Month in February at CPL. Celebrate and learn with author discussions, film screenings and book clubs for adults, interactive events for teens, story times and hands-on activities for kids, and music and crafts for all ages. Jazz Journey: A Concert by the Chicago State University Jazz Band at 11 a.m. Celebrate jazz favorites. Author Anna-Lisa Cox at 1 p.m. The historian and author discusses her groundbreaking research on African-American pioneers in her book The Bone and Sinew of the Land. Author Nisi Shawl at 2:30 p.m. The award-winning author and editor discusses the impact of science fiction writer Octavia E. Butler on her life and work. 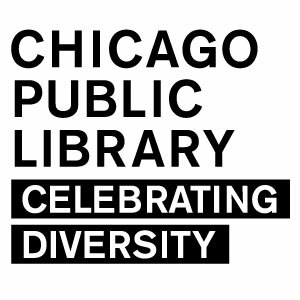 This program is part of One Book, One Chicago. Sewing with Nubia: Family Fabric: Learn how to sew a bag incorporating African prints while sharing sewing memories passed down from generation to generation. No experience necessary and all materials are provided. Thursday, February 7 at West Loop; Tuesday, February 19 at Pullman and Thursday, February 28 at Clearing. An Unforgettable Afternoon with Diane Williams: The Chicago poet and author reads from her work. Sunday, February 10 at Sulzer Regional Library. Oral Traditions: Spoken Work Workshop: Learn about the art of spoken word performance and pick up tips on how to create a spoken word tribute to family history and traditions. Thursday, February 14 at Richard M. Daley and Tuesday, February 19 at North Pulaski. Activism & Outreach: 50 Years of the Illinois Chapter of the Black Panther Party: Hear a lively discussion of the history of the Illinois Chapter of the Black Panther Party featuring former members on Saturday, February 16 at Woodson Regional Library. Musical Memories: The Musical Arts Institute Chamber String Orchestra presents a concert featuring compositions of African American composers played by youth musicians. Tuesday, February 19 at Harold Washington Library Center. Author Talk: Elliott J. Gorn: The author discusss his new book, Let the People See: The Story of Emmett Till. Monday, February 25 at Harold Washington Library Center. See a complete list of African American History Month events. See two exhibits at Woodson Regional Library: one by local artists and All Power to the People, an exhibit celebrating the legacy of the Illinois Chapter of the Black Panther Party opening February 16 in the Harsh Research Collection gallery.